Getting around Singapore is incredibly easy – and surprisingly cheap. Singapore's MRT (light rail) system goes almost everywhere on the island. Its bus system is easy to understand and ride. And both bus and MRT use a single, contactless payment system: the EZ-Link card. If you've used Hong Kong's Octopus Card before, using the EZ-Link is child's play: As soon as you step up on a bus, or before you can enter the MRT platform, just tap the card on a panel at the entrance. As you disembark from the bus or leave an MRT platform, you tap another panel to complete the transaction. The EZ-Link card has a stored balance that is automatically debited as you tap the card on the panels. The card has an SGD 10 value in it when you buy it; you can periodically load ("top up") new value on it when you run low. The EZ-Link is a contactless card, so you don't need to slot it into any receptacle for it to work - just hold the card against the panel and the balance is automatically deducted by the system. Savings: The EZ-Link card comes out cheaper than using change, assuming you stay in Singapore long enough to make up for the SGD 5 non-refundable charge for the card. On average, using an EZ-Link card costs about SGD 0.17 less per trip compared to using cash; this adds up as you make more trips using Singapore's public transport system. EZ-Link card users are also given an additional SGD 0.25 discount when they transfer between a bus and an MRT or vice-versa. These reasons are why getting an EZ-Link card is an essential part of surviving Singapore on a budget. These savings aren't of much use if you don't stay long enough to use the public transport system on a regular basis; as SGD 5 of the card cost is non-refundable, you might save more money if you use cash during two to three days' stay in Singapore. Convenience: With an EZ-Link card, you don't need to know how much the fare costs from place to place; the system just deducts the total from your card balance as you go along. If your card balance gets too low, the card reader will flash green-amber when you swipe the card over it. Without an EZ-Link card, you'll need to carry plenty of spare change as you travel; buses accept only exact change, and you'll need to queue up for a ticket every time you enter an MRT station. 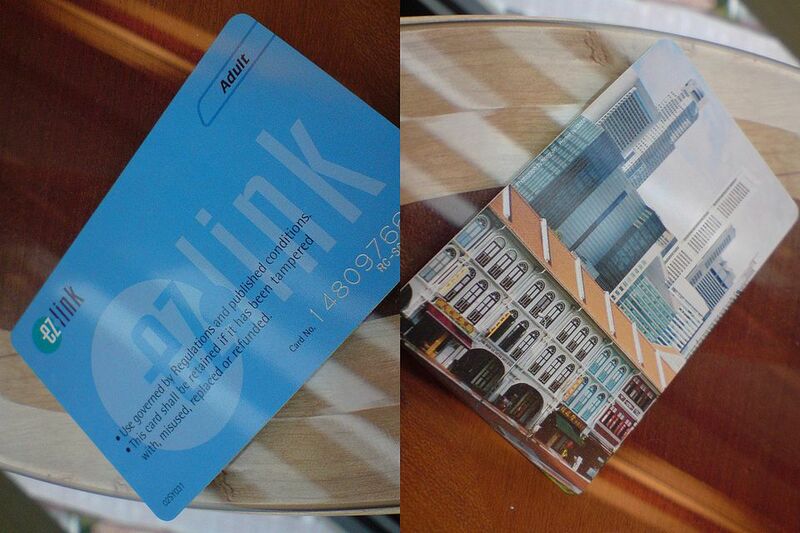 You can purchase an EZ-Link card over the counter at any MRT station, bus interchange, or 7-Eleven in Singapore. The EZ-Link card costs SGD 15 - SGD 5 covers the cost of the card (and is non-refundable), and SGD 10 is a consumable amount that needs to be "topped up" as the card runs low. The card will not work if the stored value drops to less than SGD 3; you can add value to the card at any MRT station, bus interchange, or 7-Eleven store. The card can store a maximum value of SGD 500. Unlimited use, with a caveat: The Pass is an all-day pass: you don't get charged per trip, but you can use the card as often as you like around Singapore's public transport system, depending on the length of time allotted to your card. The Singapore Tourist Pass comes in one-, two-, and three-day variants, expiring when the last bus or train goes home at the end of the day. Here's the caveat: Rides on premium and niche bus services are not allowed. Returnability: You get charged a redeemable SGD 10 deposit per Tourist Pass, instead of the non-refundable SGD 5 charged by the regular EZ-Link cards. When you return the card within five days of buying it, you get the deposit back. Tourist freebies: Tourist Pass users get exclusive access to promos provided by select Singapore retailers, restaurants, and other Singapore tourist destinations. The Singapore Tourist Pass costs SGD 18, SGD 26, and SGD 34 for a one-, two-, and three-day pass respectively. The price includes a refundable SGD 10 deposit that will be returned once you bring the card back within five days of issuance. To figure out how to get from point A to B in Singapore, use GoThere.SG, input a plain-language search to get a breakdown of the combined train-bus trip (with a choice of fastest or cheapest route).